How many times have you plugged a nearly dead phone into a charger only to get the message, “charging not supported with this accessory,” or something to that effect? The connectors all fit. The USB cable works just fine with other devices. All the lights are on. Why won’t this thing put some juice into the phone? 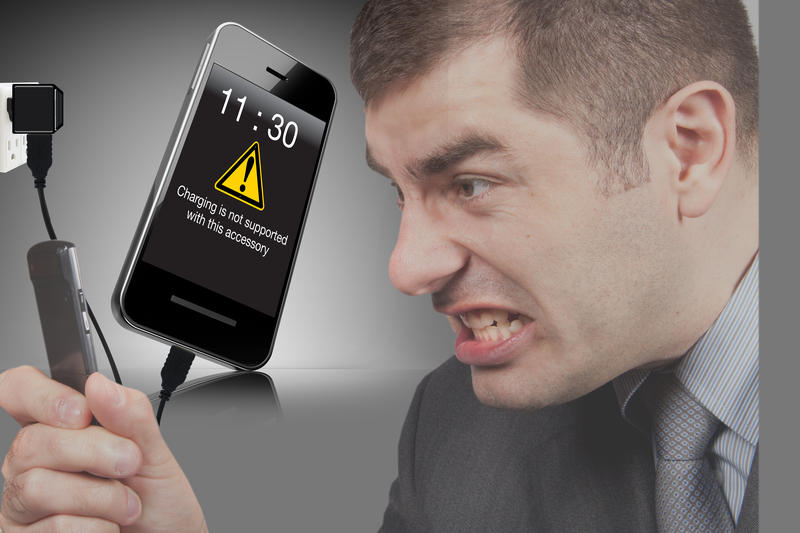 As you may know already, many smart phones, tablets, and handheld devices use proprietary protocols for their charging interface. This is to ensure that the proper charger is used and the preferred charging techniques are employed. However, knowing this does not reduce the frustration when Coulombs are denied ! Charging devices with controllers or processors (laptops, desktops, etc.) will typically contain the necessary HW and SW to detect what device is requesting a charge and provide the appropriate handshake. 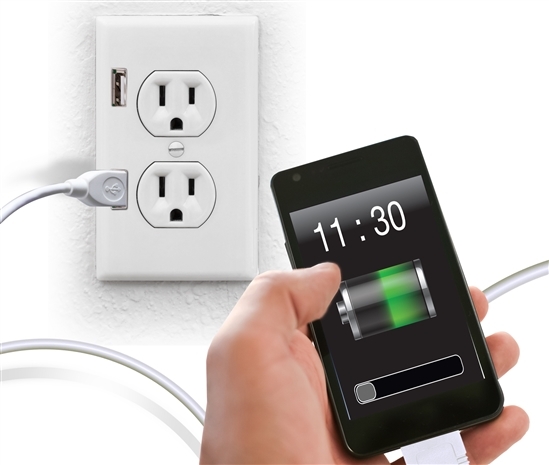 Wall chargers and car chargers do not usually fall into this category. This is where the TI USB charging port controllers shine. These devices provide all necessary USB in-rush, short circuit, and current limiting functions as well as automatically giving the secret handshake to whatever is plugged in and asking for a refill. The newest member of the TI USB family is the TPS2511 USB Charging Port Controller and it is simple to use. 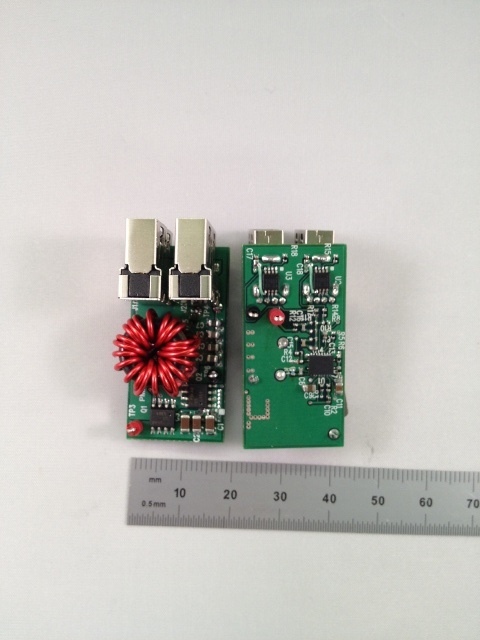 The TPS2511 is a USB Switch and charging port controller in a single package. The USB switch part ensures compliance with USB current limit and safety standards. The charging port part contains all necessary control signals for BC1.2 standard compliance as well as the handshaking protocols for all popular smartphones and handheld devices. 1. PMP8286 – Form factored for stuffing inside a little white cube that plugs into a standard AC receptacle and charges smartphones, tablets, handhelds. In addition to the TPS2511, this includes the UCC28700 Fly Power Controller to reduce standby power to less than 30 mW. That means a five star energy rating! 2. PMP7388 – Form factored to fit inside a cigarette lighter socket and provide a single USB charging port. TPS54240 and TPS2511 are the leaders in this one. 3. PMP7389 – A dual Charging port design that can fit inside a standard 120V AC receptacle. If you frequent large home improvement stores you’ll soon see 120VAC receptacles with two USB charging ports built in. Very cool. 4. PMP7390 – Wide input range (4.5 – 60 V) dual USB Charging Port Controller. TPS40170 + 2x TPS2511. Check them out. I think you’ll get a charge out of them. *edit - we have since written more blog post on building chargers and reference designs. Blog post on automotive chargers here, making USB adapters smaller here, and the PowerLab reference design library here.